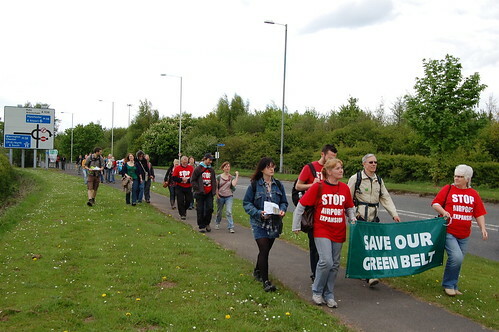 Around 60 people took part in the Biodiversity Walk organised by the Stop Expansion at Manchester Airport coalition. 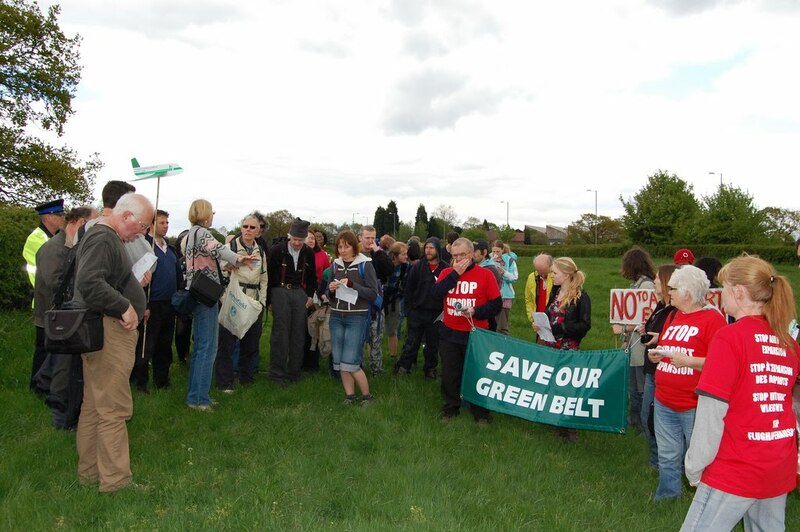 Local residents and campaigners visited green belt areas threatened by the planned expansion of Manchester Airport to learn about the habitats and species which are under threat. Members of other environmental campaigns around Greater Manchester came along to share their experiences of fighting to protect our natural landscapes from development. 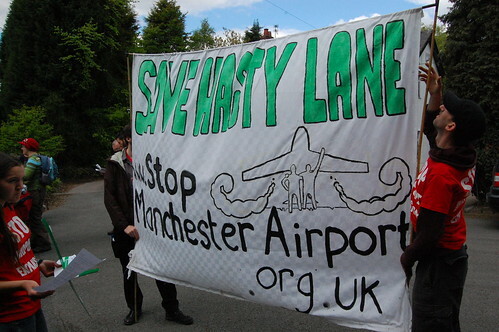 As well as a number of homes at Hasty Lane, several important habitats are either scheduled for destruction or likely to be badly affected by expansion plans. On a family-friendly day out, residents and campaigners were able to see first hand some of the natural beauty still thriving in the shadow of the airport, as well as to learn from the Save our North West Green Belt and Save Chorlton Meadows campaigns about how best to build support and take on a process which too often disregards public opinion and environmental issues. 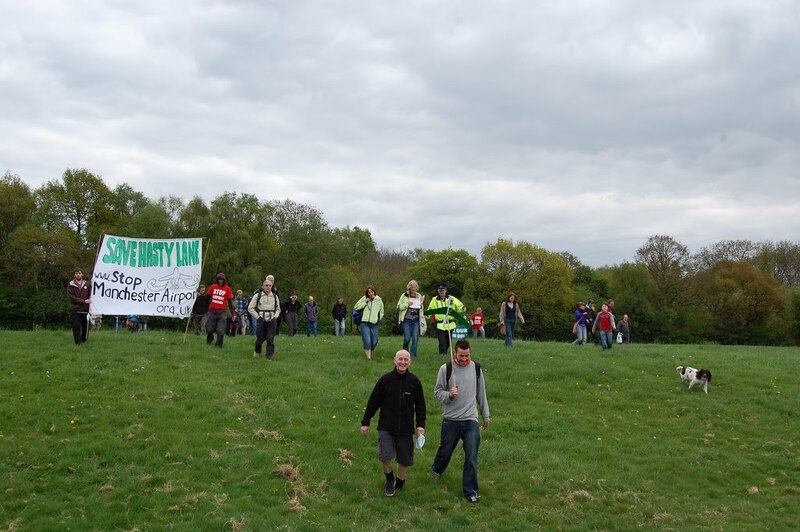 The event is a continuation of the 'Adopt a Resident' scheme where campaigners have teamed up with threatened residents at Hasty Lane to help save their homes. 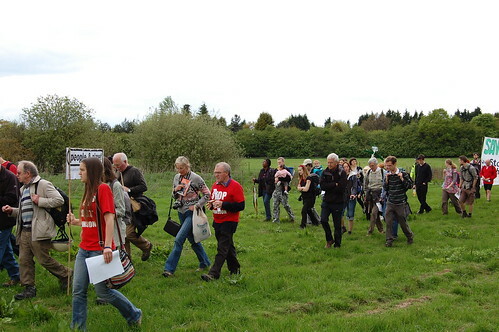 The areas visited included irreplaceable ancient woodlands directly adjacent to the site of planned development. These woodlands are home to a wide variety of plants and tree species as well as animals like badgers, foxes and buzzards. 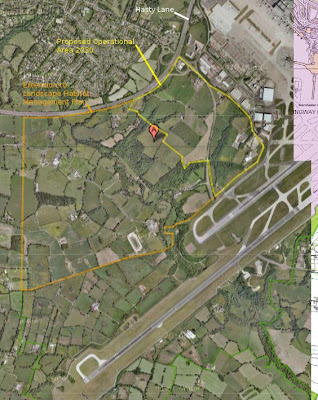 The proposed airport development would drastically alter the landscape in the area affecting for the survival of these woods. Campaigners also visited an ancient pond which is home to a population of great crested newts, an endangered species found only in north west England. As well as the destruction of habitats like this, development can separate and isolate populations of a species; this interrupts the natural movement of animals and reduces their genetic diversity, harming their chances of survival. Local biology enthusiasts explained how development has effects on biodiversity beyond the direct destruction of habitats, and how attempts by developers to offset the damage they cause are no substitute for leaving existing natural environments untouched. The areas earmarked for development should be protected by green belt status, but the airport seems determined to have this status removed to clear the way for development. 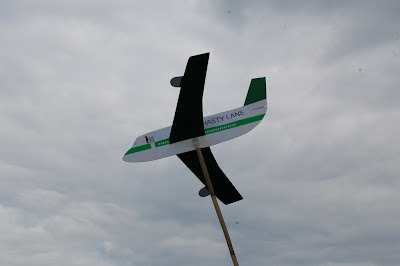 Hasty Lane resident Holly Johnson said, "This biodiversity walk aims to give people a visual experience of what airport expansion looks like. Not only is it bad for the climate and responsible for knocking down people's homes, it's also destroying beautiful green spaces. 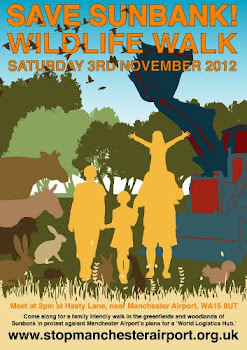 You cannot replace a 400 year old ancient woodland by planting some new trees down the road. That's not how biodiversity works." Biodiversity enthusiast Alison Hunt said, "I never realised what historic and untouched corners of countryside still exist around the Ringway airport boundaries- ancient woodland and hedgerows, historic cottages and farms, tranquil fields and ponds. 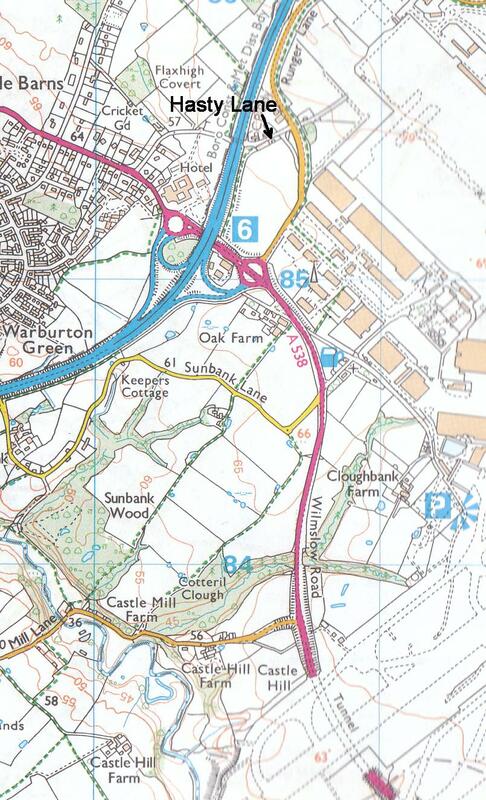 These hidden gems are now all threatened by the Airport's expansion plans to become the 'Heathrow of the North'." If i talk about green globe and healthy and friendly nature and nature beauty, i wouldn't recommend an expansion to the airport. 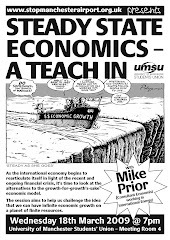 But if we talk about Manchester Airport Car Parking, or a new runway i will say yes. Because population in UK and travelers to UK are increasing year by year. I wish gov. officials should also consider some nature friendly option as well.